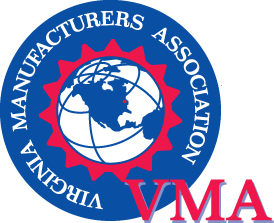 Okuma MB 56 VA – High Column Vertical Mill, 30 H.P. 15,000 rpm integral Integral Motor Spindle, full five axis, index capability, 41 x 22 x 18 travels, 1,574 ipm, 40 taper, 32 tool changer with bidirectional spindle cooling. 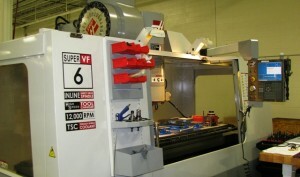 HAAS Super VF-6 Vertical 20 H.P. with 12,000 rpm spindle, full 5 axis index capability, 64 X 32 X 30 travels 1,000 ipm, 40 taper, 24 tool high speed changer with through spindle coolant. HAAS VF-5 Vertical, 20 H.P. with 7,500 rpm spindle, full 4 axis index capability, 50 X 26 X 25 travels, 40 taper with 24 tool changer. HAAS VF-3 SS Vertical, 30 H.P. with 12,000 rpm spindle, full 4 axis index capability, 40 X 20 X 25 travels 1400 ipm, 40 taper, 24 tool changer with through spindle coolant. HAAS VF-3 Vertical, 20 H.P. with 15,000 rpm spindle, full 5 axis index capability, 40 X 20 X 25 travels 1000 ipm, 40 taper, 24 tool changer with through spindle coolant. HAAS VF-3 VOP-D Vertical 20 H.P. with 10,000 rpm spindle, full 5 axis index capability, 40 X 20 X 25 travels 1000 ipm, 40 taper, 24 tool changer with through spindle coolant. 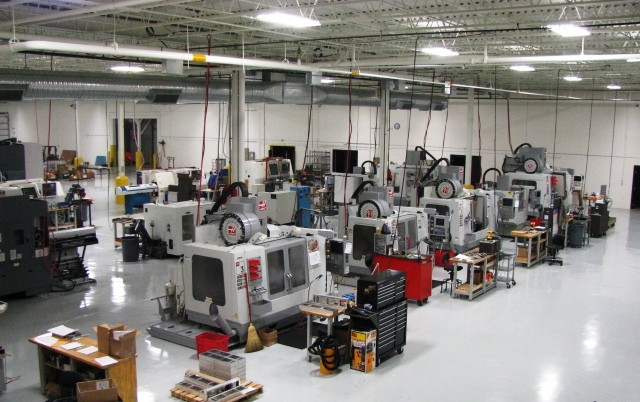 HAAS VF-2 VOP-D Vertical 20 H.P. with 10,000 rpm spindle, full 4 axis index capability, 30 X 16 X 20 travels 1,000 ipm, 40 taper, 24 tool changer with through spindle coolant. 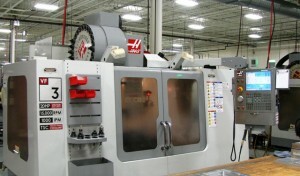 Two) HAAS Mini-Mill Vertical 7.5 H.P. with 6,000 rpm spindle, full 4 axis capability, 16 X 12 X 10 travels, 40 taper with 10 tool changer.